Los Angeles, CA – Scottish-based ONR is an enigma; he appeared on the music scene practically overnight after leaking his first single, “Jericho” through indie music label, Leftwing before being signed to Capitol Records. With an understated confidence and maturity, he cites David Bowie and Arcade Fire as inspiration for his music. He has also been featured in CLASH Magazine, Atwood Magazine, and High Voltage and has performed on the main stages at many UK festivals including Electric Fields, Loopallu, and Tartan Heart. ONR is currently working with producer Mark Crew (Bastille, Rag & Bone Man), Doc McKinney (The Weeknd) and legendary mixer Spike Stent (Massive Attack, Frank Ocean) on his debut EP scheduled for release next year. Following the success of his debut single, “Jericho,” ONR drops the politically charged track, “5 Years Time.” He paints a picture of the current state of the world with strong synth beats and electric lyrics that demonstrate the frustration and helplessness currently permeating the air. ONR challenges listeners to look within themselves for strength to mend the world to create a better future. With a faint glimmer of hope for future politics, ONR asks the question, “Where will we go from here?” The song represents the unwavering resolve of the millennial generation. “Lyrically, this is one the darkest songs I have,” ONR explains. “I was really trying to promote two ideas: firstly, this idea of balancing your past with your present, and secondly, to set it against this current backdrop of dark politics and the increasingly common frustration and helplessness that this generation is feeling.” The fusion of soaring vocal lines, conscientious songwriting and nostalgic synths create the ideal formula for politically charged indie-rock perfection. 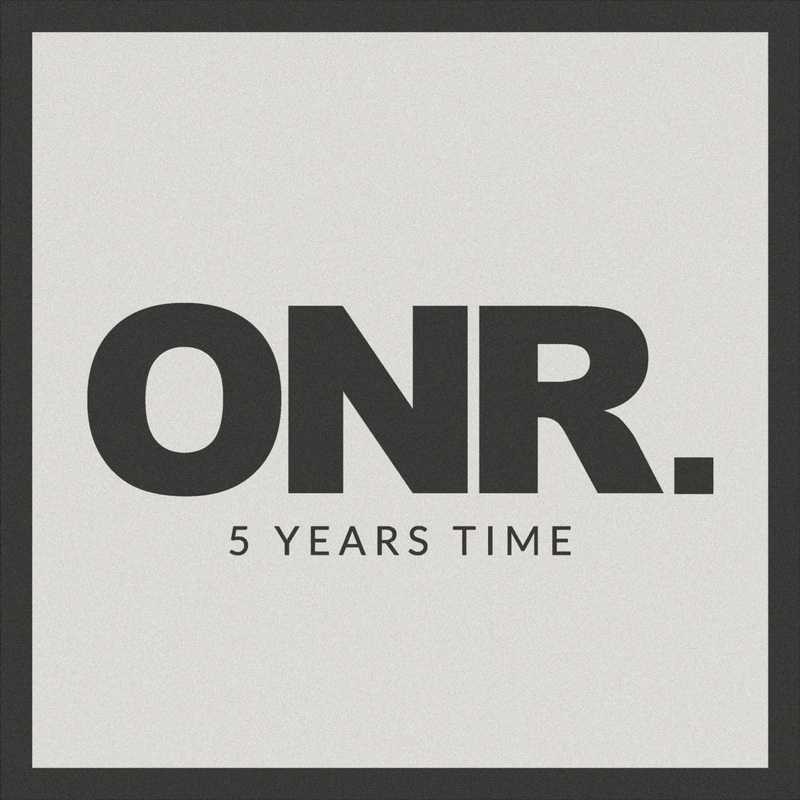 “5 Years Time” is the latest single off of ONR’s forthcoming EP and is now available for streaming and download worldwide. Stay in the know with ONR at www.ONRHQ.com.